A top-hung double-glazed White uPVC roof window, with an exterior cladding of anthracite-metallic polyester-coated aluminium. These can be fitted easily and quickly into roof slopes of 15 to 65 degrees, using special polyester coated aluminium flashings for tile or slate roofs. Sizes 6/11 upwards can be used as Means of Escape windows, MOE. 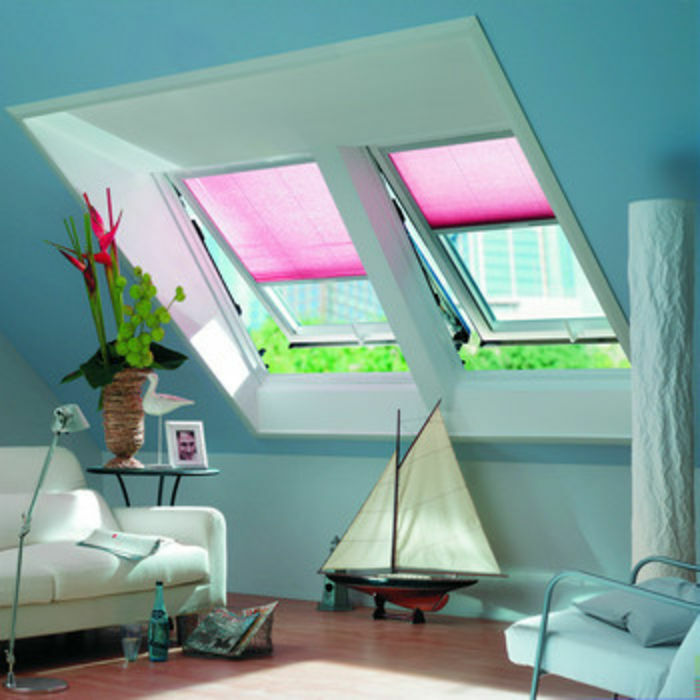 (A minimum opening of 0.33 square metres is required for a roof-window to be used as a fire escape). - 6/11 upwards can be used as Means of Escape - MOE.